There's not much about this trend that we don't love. 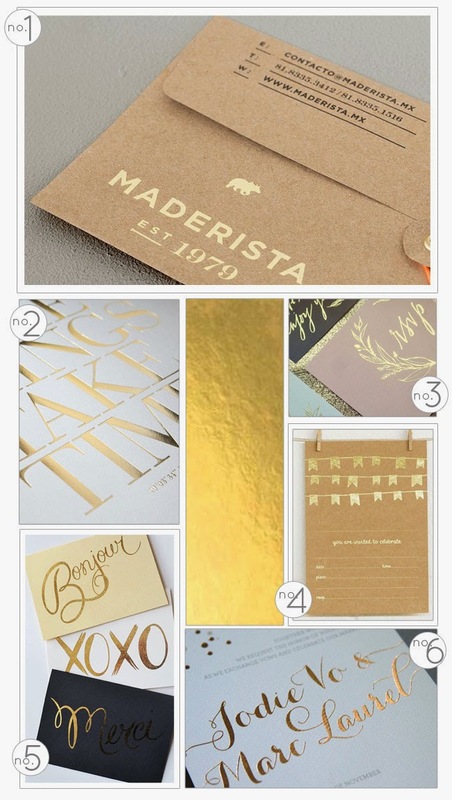 Gold foil is hitting the stationery world (why, yes of course there's a stationery world!) by storm and there are so many applications and styles that this technique is appropriate for. We have been lucky enough lately to work with two super trendy couples who have incorporated gold foil into their stationery, and we're pretty much obsessed with it - but more on that later. For now, take a look at these pictures for inspiration. This trend works on a variety of materials, whether you prefer kraft brown, stark bright white, moody jewel tones or fun and bright neons.